The season’s first updated June forecast for Atlantic hurricanes in 2017 has been released by the Colorado State University Tropical Meteorology Project. (April 6 ) This year, 2017, the expectation is for a “below average” year, based on 29 years of observations from 1981 to 2010. There is the potential for shear-enhancing El Niño conditions to develop over the next several months. The tropical Atlantic has cooled over the past month, and the far North Atlantic is currently colder than normal. These cold anomalies tend to force atmospheric conditions that are less conducive for Atlantic hurricane formation and intensification. (June 1) We have increased our forecast and now believe that 2017 will have approximately average activity. The odds of a significant El Niño in 2017 have diminished somewhat, and portions of the tropical Atlantic have anomalously warmed over the past two months. While the tropical Atlantic is warmer than normal, the far North Atlantic remains colder than normal, potentially indicative of a negative phase of the Atlantic Multi-Decadal Oscillation. We anticipate a near-average probability for major hurricanes making landfall along the United States coastline and in the Caribbean. 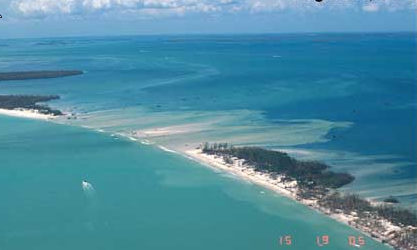 August 2004, Hurricane Charley washed out part of Captiva Island. We anticipate that the 2017 Atlantic basin hurricane season will have slightly below- average activity. The current neutral ENSO is likely to transition to either weak or moderate El Niño conditions by the peak of the Atlantic hurricane season. The tropical Atlantic has anomalously cooled over the past month and the far North Atlantic is relatively cold, potentially indicative of a negative phase of the Atlantic Multi-Decadal Oscillation. We anticipate a below-average probability for major hurricanes making landfall along the United States coastline and in the Caribbean. 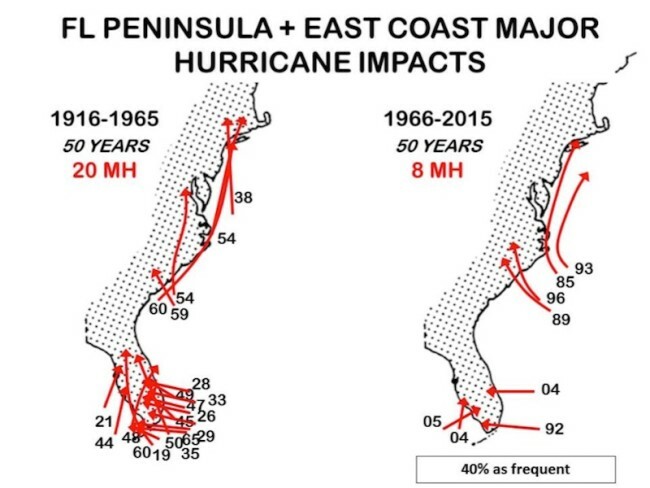 As is the case with all hurricane seasons, coastal residents are reminded that it only takes one hurricane making landfall to make it an active season for them. They should prepare the same for every season, regardless of how much activity is predicted. An analysis of a variety of different atmosphere and ocean measurements (through March) which are known to have long-period statistical relationships with the upcoming season’s Atlantic tropical cyclone activity indicate that 2017 should have slightly below-average activity. The big question marks with this season’s predictions are whether an El Niño develops, as well as what the configuration of Sea Surface Temperatures will look like in the tropical and far North Atlantic Ocean during the peak of the Atlantic hurricane season. June 1 – Our confidence that a weak to moderate El Niño will develop has diminished since early April. While upper ocean content heat anomalies have slowly increased over the past several months, the transition towards warm ENSO conditions appears to have been delayed compared with earlier expectations. At this point, we believe that the most realistic scenario for the 2017 Atlantic hurricane season is borderline warm neutral ENSO to weak El Niño conditions. There remains a need to closely monitor ENSO conditions over the next few months. Additional discussion of ENSO will be included with the July 1 and August 4 updates. This entry was posted in Environment and tagged Anna Maria Island hurricanes, Anna Maria storms, Atlantic hurricanes, El Nino, Florida hurricanes, Hurricanes, Tropical Storms on May 26, 2017 by Mike. This entry was posted in Environment and tagged Anna Maria Island hurricanes, Atlantic hurricanes, El Nino, flood, Florida hurricanes, Hurricanes, La Nina, Tropical Storms on December 10, 2016 by Mike. 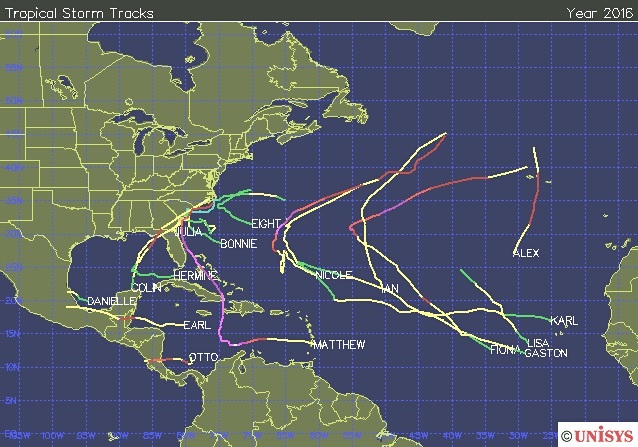 The season’s first forecast for Atlantic hurricanes in 2016 has been released by the Colorado State University Tropical Meteorology Project. After 10 years of below average activity, this year the expectation is for an “average” year. That is, a return to mean as recorded over the past 29 years of their data. The strong El Nino effect in the Pacific during the past year has deflected storms and reduced winds aloft over the US mainland but is expected to weaken during this coming summer due to colder temperatures in the North Atlantic. By September the El Nino influence is expected to be gone, just in time for the peak of the Atlantic hurricane season, however, subsequently moderate La Nina conditions in late summer and fall could bring significant cooling. We anticipate that the 2016 Atlantic basin hurricane season will have approximately average activity. The current weakening El Niño is likely to transition to either neutral or La Niña conditions by the peak of the Atlantic hurricane season. While the tropical Atlantic is relatively warm, the far North Atlantic is quite cold, potentially indicative of a negative phase of the Atlantic Multi-Decadal Oscillation. We anticipate a near-average probability for major hurricanes making landfall along the United States coastline and in the Caribbean. As is the case with all hurricane seasons, coastal residents are reminded that it only takes one hurricane making landfall to make it an active season for them. They should prepare the same for every season, regardless of how much activity is predicted. Tracks of major hurricanes making Florida peninsula and East Coast landfall during 1916-1965 and 1966-2015. 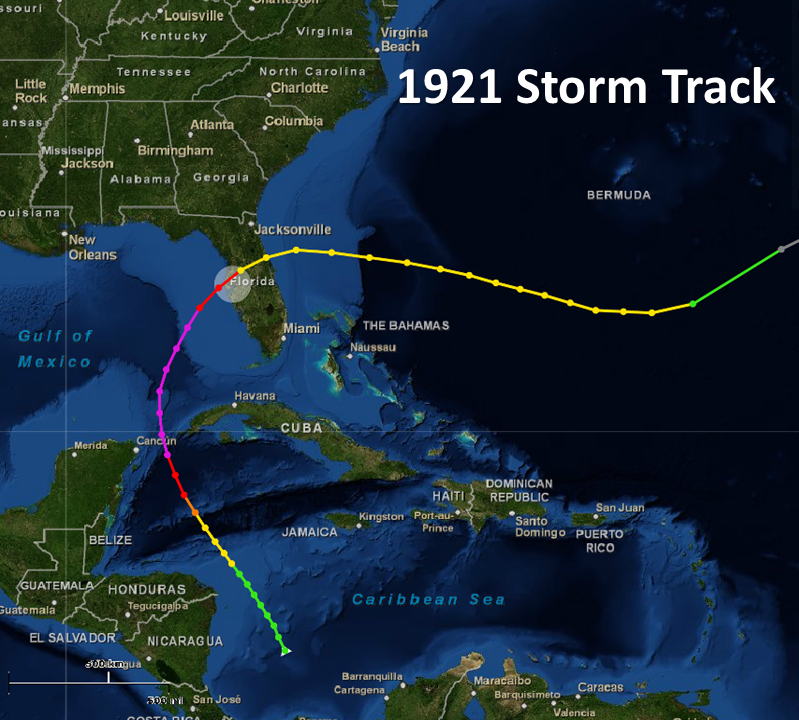 The last hurricane effect in the Tampa Bay area was the Tarpon Springs hurricane of October, 1921. Anna Maria Island’s first bridge from Cortez, being constructed at the time, was damaged in the storm. Anna Maria Island’s last close-by hurricane made landfall at Tarpon Springs. This entry was posted in Environment and tagged Anna Maria Island hurricanes, Atlantic hurricanes, El Nino, Florida hurricanes, Hurricane, La Nina, Tampa Bay hurricane, Tropical Storms on April 22, 2016 by Mike. Last storm (Wilma) to hit Florida was 10 year ago, an all time record lull. Ana – Tropical Storm, May 8-11. Earliest on record. Landfall North Myrtle Beach, South Carolina. Bill – Tropical Storm, June 16-18. Landfall Matagorda Island, Texas. Erika – Tropical Storm, August 25-29, impacting Dominica, Guadalupe, Puerto Rico, and Haiti. Fred – Hurricane Cat 1, August 30 to September 6, first ever impact on Cape Verde Islands. 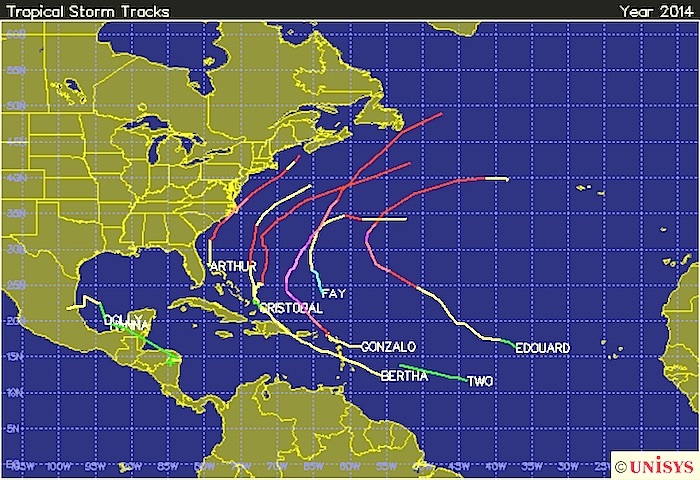 Joaquin – Hurricane Cat 4, September 28 to October 8, impacting Bahamas, and sinking cargo ship El Faro. This entry was posted in Environment and tagged Anna Maria Island hurricanes, Atlantic hurricanes, Florida hurricanes, Hurricanes, Tropical Storms on December 2, 2015 by Mike. The US broke a record of 9 years without a major hurricane landfall. The last major hurricane to make US landfall was Wilma (2005). The previous record of eight years was from 1861-1868. Florida broke a record of 9 years without a hurricane impact (since 1851). The previous record of five years was from 1980-1984. This entry was posted in Environment and tagged Anna Maria Island hurricanes, Florida hurricanes, Hurricanes, Tropical Storms on December 4, 2014 by Mike.